“Every church is a stone on the grave of a god-man,” writes Friedrich Nietzsche. 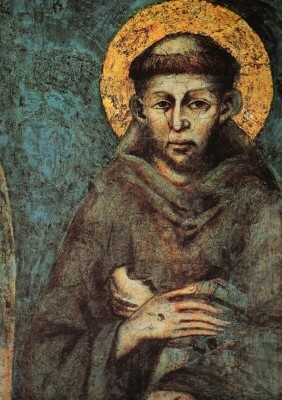 “It does not want him to rise up again under any circumstances.” When Francis collected stones to repair the church of San Damiano, when later he collected friars to go out two by two preaching the gospel to lost souls, was he unwittingly empowering an earthly institution at the expense of jeopardizing the spiritual freedom of the same souls? As an institution the Church can easily seem to have nothing to do with the One who said, “Foxes have holes, and birds of the air have nests, but the Son of man has nowhere to lay his head.” By reason of its hierarchical structure, it can even seem to have little to do with the human person at all. “There is no heresy or no philosophy,” remarks James Joyce, “which is so abhorrent to the Church as a human being.” A hard truth when the Church is looked upon with the eye of the artist as an old man, the same eye which, when young, looked up to its Jesuit teachers and imagined priesthood. In so many ways the ghost of the Grand Inquisitor is haunting us still, and Dostoyevsky’s presentation of Ivan’s argument against the desirability of individual human freedom to his brother Alyosha in The Brothers Karamazov no doubt seems to us more chillingly relevant now than in 1880, when the novel was first published. 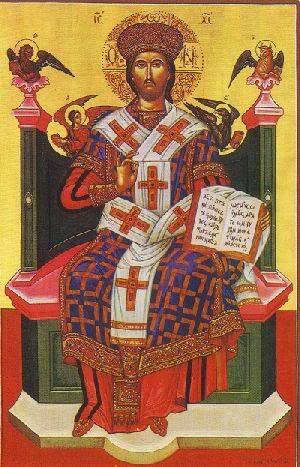 Today is the Feast of Christ the King, the last Sunday of the Church year, next Sunday marking the beginning of Advent. As a festival, Christ the King is a new arrival on the liturgical calendar, having been instituted by Pope Pius XI in 1925 to remind Christians that their allegiance is to their spiritual ruler in heaven as opposed to earthly rulers. As in Italy that year Benito Mussolini became Il Duce, we do not miss its social and political implications. Remarkably, along with the Roman Catholic Church, the Anglican Church also observes this feast, as do many Lutherans, Methodists, and Presbyterians. Of course several passages of Scripture support the title of Christ the King, a title that generally all Christians acknowledge. 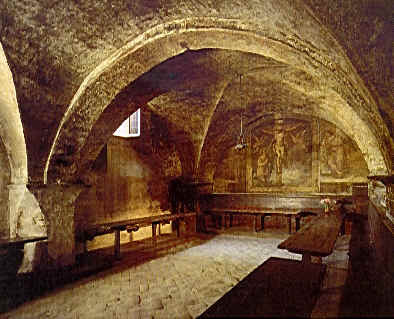 Nevertheless, the remarkable fact remains that a feast instituted by the Roman Church in the twentieth century to be specifically celebrated on the last Sunday of the Church year – this, mind you, four hundred years after the Reformation – is these days concurrently celebrated as well by large numbers of “separated brethren” in the denominations mentioned. To my mind this seems something of an ecumenical miracle, initiated as it was by the Pope. What are we to make of this? First off, it would be good to read some words of Pope Pius XI taken from the encyclical Quas Prima which, promulgated in 1925 for the institution of the Feast, is meant to address the meaning of Christ’s Kingship. If to Christ our Lord is given all power in heaven and on earth; if all persons, purchased by his precious blood, are by a new right subjected to his dominion; if this power embraces all humankind, it must be clear that not one of our faculties is exempt from his empire. He must reign in our minds, which should assent with perfect submission and firm belief to revealed truths and to the doctrines of Christ. He must reign in our wills, which should obey the laws and precepts of God. 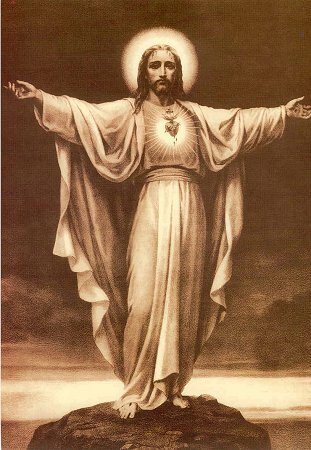 He must reign in our hearts, which should spurn natural desires and love God above all things, and cleave to him alone. He must reign in our bodies and in our members, which should serve as instruments for the interior sanctification of our souls, or to use the words of the Apostle Paul, as instruments of justice unto God. If all these truths are presented to the faithful for their consideration, they will prove a powerful incentive to perfection. This kingdom is spiritual and is concerned with spiritual things. That this is so the above quotations from Scripture amply prove, and Christ by his own action confirms it. On many occasions, when the Jews and even the Apostles wrongly supposed that the Messiah would restore the liberties and the kingdom of Israel, he repelled and denied such a suggestion. When the populace thronged around him in admiration and would have acclaimed him King, he shrank from the honor and sought safety in flight. 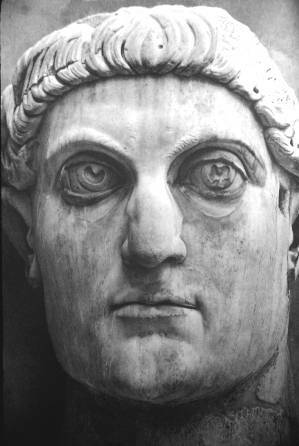 Before the Roman magistrate he declared that his kingdom was not of this world. The gospels present this kingdom as one which men prepare to enter by penance, and cannot actually enter except by faith and by baptism, which, though an external rite, signifies and produces an interior regeneration. This kingdom is opposed to none other than to that of Satan and to the power of darkness. It demands of its subjects a spirit of detachment from riches and earthly things, and a spirit of gentleness. They must hunger and thirst after justice, and more than this, they must deny themselves and carry the cross. It was surely right, then, in view of the common teaching of the sacred books, that the Catholic Church, which is the kingdom of Christ on earth [my emphasis], destined to be spread among all people and all nations, should with every token of veneration salute her Author and Founder in her annual liturgy as King and Lord, and as King of Kings. Over the centuries it has seemed to many that the central concern of the successors of Peter has largely been to establish the Catholic Church (“which is the kingdom of Christ on earth, destined to be spread among all people and all nations”) in the form of an empire on earth, an empire of stone churches, an empire of parishes, dioceses, and archdioceses, of priests, bishops, and archbishops, an empire superimposed over all peoples and over all cultures throughout the world, indeed even over the unique personhood of all souls by the universally obligatory rite of auricular confession. How after all is “Christ’s ongoing life in the world” effectively to “be passed on” to others? 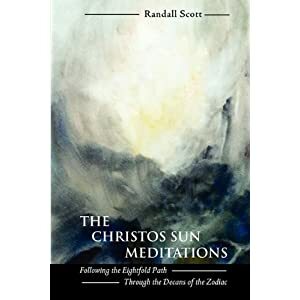 Is there in the Church a stream of living tradition to be found that is wanting further “ennoblement and spiritualization”, as Meditations on the Tarot (p. 353) has it? Is there an impulse I might allow to work through me that would help effect, however modestly, “the rejuvenation and intensification” of that tradition? Is there room for a kind of freely acknowledged obligation, as it were, arising out of an awakened gratitude, indeed an ever-growing admiration, for this living tradition’s existence over the span of two thousand years? And, from the depths of my heart, what might I come to feel the nature of this freely acknowledged obligation to be for myself? 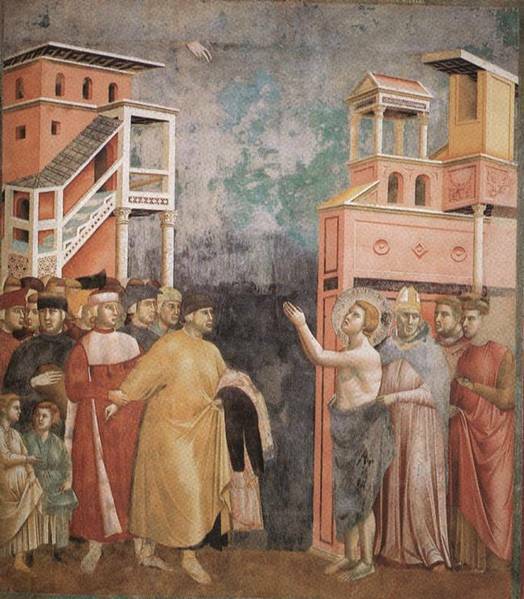 When Francis, before the townspeople and Guido the bishop of Assisi, stripped himself naked, threw his clothing at the feet of his father, and renounced his patrimony, we are told that the bishop drew Francis within his arms, enfolding him in his mantle, and so hid his nakedness from the world. If, as papal authority claims, the Church – One, Holy, Catholic, and Apostolic – is the kingdom of Christ on earth, in what way are we to understand this? Christ declared that his kingdom “is like treasure hidden in a field; which a man found and covered up; then in his joy goes and sells all that he has and buys that field” (Matt: 13:44). In what sense then is the Catholic Church supposed to be hidden? How is it like treasure hidden in a field found by a man and covered up? Did Francis, fully aware that the kingdom does not come “with signs to be observed” (Luke 17: 20b), know something that we do not know? Or for that matter, something that Friedrich Nietzsche did not know either? Did he, just like the man in the parable, find a treasure hidden in a field and cover it up? Because in his joy it certainly seems he sold all he had and with all his nakedness bought that field, right down to his stigmata. And there is one thing in his dramatic act of renunciation (and in the continual renunciation he subsequently practiced for the rest of his life) which seems to me absolutely certain. He did not say, “Lo, here it is!” or “There!” Because for Francis, the Church – One, Holy, Catholic, and Apostolic – the Church of what is believed “everywhere, always, and by all” – if not the length and breadth of it, most assuredly the height and depth of it – is not actually to be found anywhere in the world – at least not at first. The Church Universal as the kingdom of God, the Church as the Holy Soul of the Beloved Community, even if but the merest glimpse of it, is to be found to begin with, dear Reader, only within, just above the heart.